Any Sport, Any Race, Anywhere! 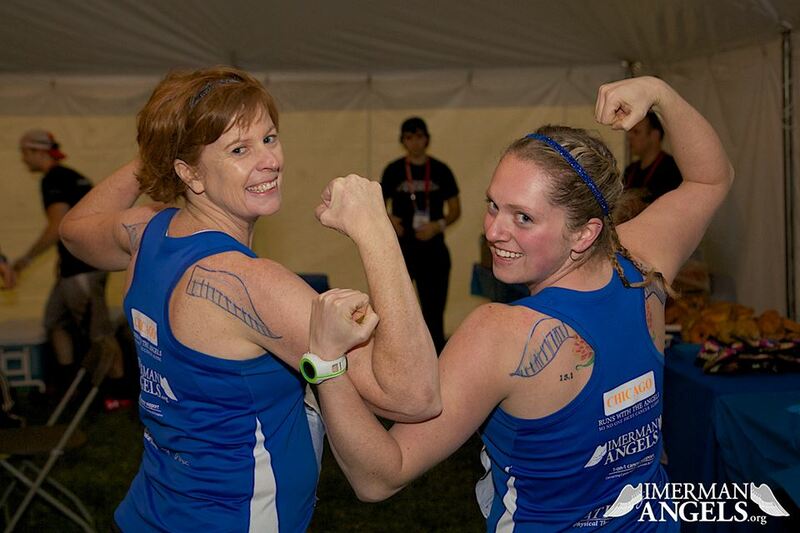 Congratulations, Team Imerman Angels, for completing the 2013 Bank of America Chicago Marathon. We believe that every fundraising page created, jersey worn while training, and each individual informed of the Imerman Angels mission helps raise awareness to ensure that no one faces cancer alone. Our marathon weekend began with the Bank of America Chicago Marathon Health and Fitness Expo at McCormick Place Convention Center. Guests were invited to browse more than 200 exhibitors of marathon apparel, footwear, and latest fitness technology. On Saturday evening, Team Imerman Angels members and their families were invited to enjoy a protein-packed pasta dinner at Bongiorno’s courtesy of Imerman Angels. 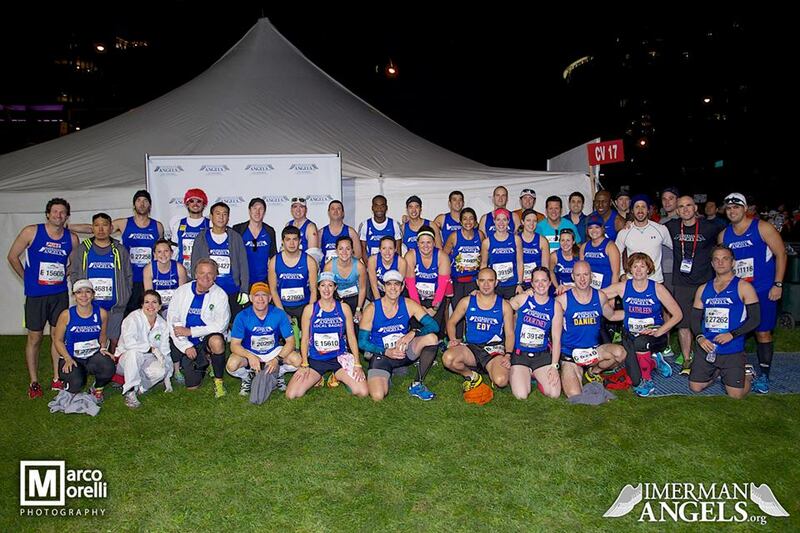 Team Imerman Angels, headed by first time marathon runner and head of Team IA recruiting Khitam Masoud, was comprised of 90 members from all over the United States and beyond. 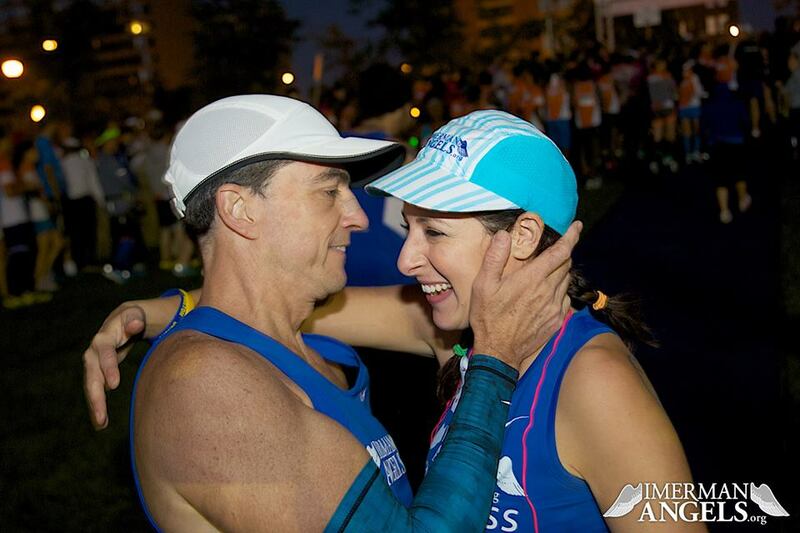 Masoud, a two-time cancer survivor, first decided to run with Imerman Angels last year when she met Israel Antonio, a blind athlete who runs for various organizations. His determination to overcome challenges inspired Khitam to train hard and cross the finish line in support of Imerman Angel’s cause. Team Imerman Angels runners who participated in the Bank of America Chicago Marathon include: Matthew Abeles, Jessica Alger, Israel Antonio, Shilpa Anturkar, James Auste, Lisa Baranuska, Christina Bayer, Suzanne Blaising, Danielle Blount, Adam Callans, Michael Camerano, Prashant K Chawla, Isabel Chung, Brianne M Connolly, Pascale Dargis, Katie Donnewald, James R Escobar, Caitlin Fitzpatrick, Caroline Frost, Sean Gallagher, Heidi H. Gerhardt, Nicholas Gow, Christopher J. Hemzacek, Samantha J. Herink, Eric S Horng, Heather A. Hoskin, Brennan Hughes, Becky Ives, Daniel Jacobsen, Andrew D. Johnson, Stephen Johnson, Courtney Joseph, Mergim Kacija, Lysee Kaye, Christopher M. Klotz, Kimberly Koetter, Beth A. Kosar, Kristen Kostka, Daniel Krueger, Arlena Larocca, David S. Lautenbach, Helen M. Liggett, Ted A. Liggett, Matthew F. Logan, Sean Mansfield, Tyler Mansfield, Stacie Marshall, Khitam Masoud, Brandan Mccanna, Allison Mecher, Michael P Minogue, Paul T. Minogue, Mike Moreau, Kerry Morris, Aaron Mulvaney, Janelle Myers, Jonathon Nagle, Catherine Napier, Andy Nesheim, Michael Nickes, Gabrielle Niewinski, Grant A Niewinski, Hector Nunez, Devlin O’Connor, Erick N. Perez, Jessica Perez, Christopher Pilat, Jennifer Pilat, Eli Polites, Deanna Poneman, Todd M. Rubin, Lidsay Rufa, Mary Sanders, Richard Schad, Jay Schiesser, Tony Schirmang, Jennifer Shulkin, Brent Smyth, Anne Marie Stephen, Timothy Swindle, Kaleb Taylor, Coree K. Thomas, Cheryl A. Trace, Stacey L. Vallarta, Laura Walker, Kevin J. Ware, Stephanie Wedel, Bobby Weil, Sarah Werner, David M. Wolf, Kathleen G. Yagihashi, and Lynn M. Yakoweshen. 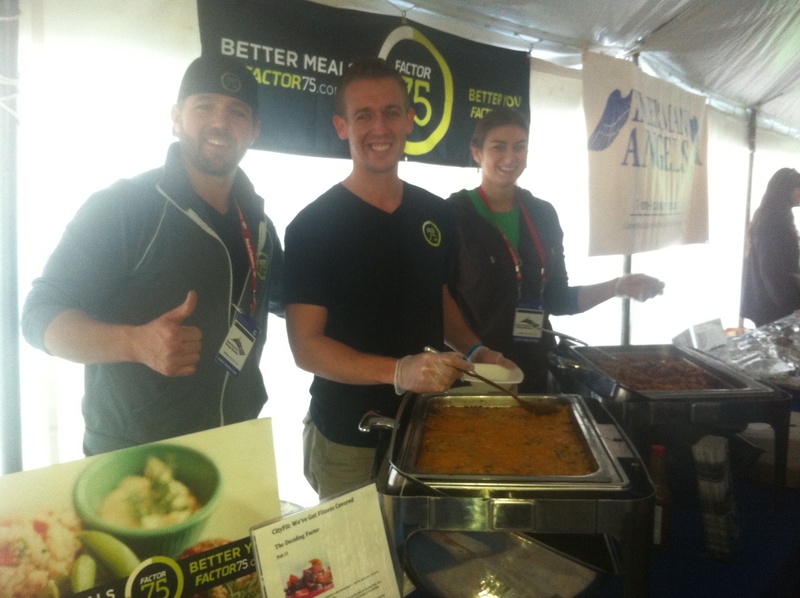 Factor 75, a healthy meal delivery service, was waiting at the finish line to feed all the hungry members of Team IA a protein packed meal. Coming up, Team Imerman Angels will be participating in the Hot Chocolate 15/5K run in Grant Park on November 3 as well as the Shamrock Shuffle 8K in April 2014.